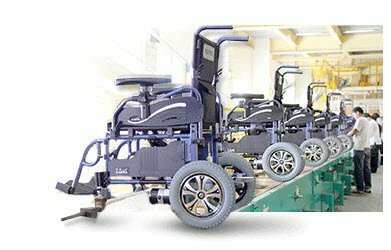 Managing over ten thousand bill of materials (BOM) items every day and producing a reliable and high-quality wheelchair every 70 seconds in the spirit of just-in-time operation is a vivid portrait of the busy KARMA production lines. KARMA’s operation has continued to evolve over the past quarter-century. Today our production is managed and controlled by our exclusive enterprise resource planning (ERP) system, boasting the “98” mark that 98% of production and customer orders are delivered on time. ” Yield rate, Efficiency, and Discipline ” —— are the three fundamental indices on the production site.